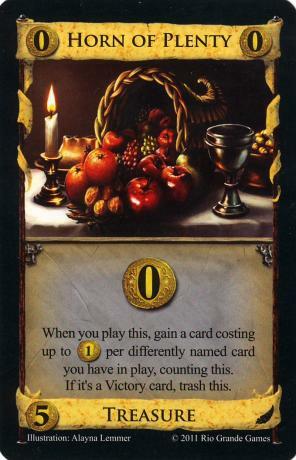 When you play this, gain a card costing up to 1 treasure per differently named card you have in play, counting this. If it's a Victory card, trash this. There is a treasure hidden. Find it.